GRAND RAPIDS, Mich. – SpartanNash today announced it has been named among the nation’s 2019 Military Friendly® Employers. The annual list is compiled by VIQTORY, whose mission is to provide veterans and their spouses with the finest choices for employment opportunities. As a leading distributor of grocery products to U.S. military commissaries and exchanges around the world, SpartanNash currently employs nearly 800 military veterans, in addition to Reservists, National Guardsmen and Blue and Gold Star family members throughout the company. In 2017, 6.4 percent of all SpartanNash hires across our corporate retail, distribution, military and food manufacturing business segments identified themselves as veterans. In April, SpartanNash was also named a Silver-Level Veteran-Friendly Employer by the Michigan Veterans Affairs Agency for its veteran hiring practices and policies. For more information about SpartanNash’s veteran hiring practices – including available career opportunities – visit careers.spartannash.com. Institutions earning the Military Friendly® Employer designation were evaluated using both public data sources and responses from a proprietary survey. 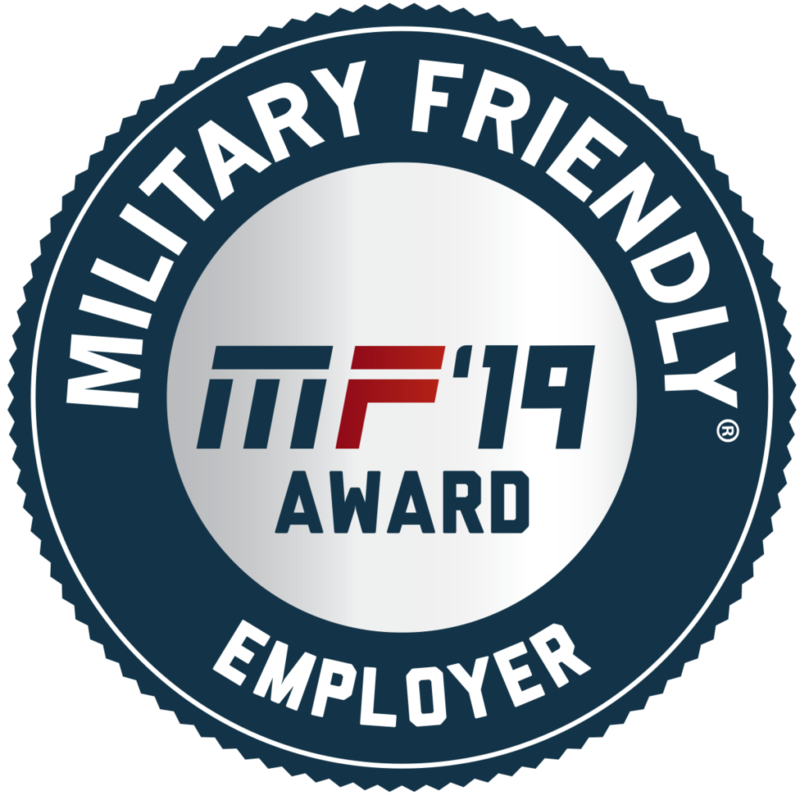 More than 200 companies participated in the Military Friendly® Employers portion of the 2019 Military Friendly® Companies survey. Methodology, criteria and weighting were determined by VIQTORY with input from the Military Friendly® Advisory Council of independent leaders in the higher education and military recruitment community. Final ratings were determined by combining an organization’s survey score with an assessment of the organization’s ability to meet thresholds for applicant, new hire retention, employee turnover and promotion and advancement of veterans and military employees. SpartanNash will be showcased along with other 2019 Military Friendly® Employers in the December issue of G.I. Jobs® magazine, the January 2019 issue of Military Spouse Magazine and on MilitaryFriendly.com. SpartanNash (Nasdaq: SPTN) is a Fortune 400 company whose core businesses include distributing grocery products to a diverse group of independent and chain retailers, its corporate-owned retail stores and U.S. military commissaries and exchanges; as well as premier fresh produce distribution and fresh food processing. SpartanNash serves customer locations in all 50 states and the District of Columbia, Europe, Cuba, Puerto Rico, Bahrain, Djibouti and Egypt. SpartanNash currently operates 140 supermarkets, primarily under the banners of Family Fare Supermarkets, D&W Fresh Market, VG’s Grocery, Dan’s Supermarket and Family Fresh Market. Through its MDV military division, SpartanNash is a leading distributor of grocery products to U.S. military commissaries. The Military Friendly® Employers list is created each year based on extensive research using public data sources for thousands of federal contractors nationwide, input of military employees, and responses to the proprietary, data driven Military Friendly® Employers survey from participating companies. The survey questions, methodology, criteria and weightings were developed with the assistance of an independent research firm and an advisory council of educators and employers. Data calculations and tabulations were independently evaluated for completeness and accuracy by Ernst & Young. The survey is administered for free and is open to companies that have hired veterans in the past 12 months. Criteria for consideration can be found at: militaryfriendly.com. Founded in 2001, VIQTORY is a service disabled, veteran owned small business (SDVOSB) that connects the military community to civilian employment, educational and entrepreneurial opportunities through its G.I. Jobs® and Military Friendly® brands. VIQTORY and its brands are not a part of or endorsed by the U.S. Dept of Defense or any federal government entity. Learn more about VIQTORY at viqtory.com.